And they are INCREDIBLE, legit, bad-to-the-bone, crazy skilled photographers. You really can’t go wrong if you hire anyone who is an experienced professional. So how in the world do you ever decide WHICH photographer when there are 47 million to choose from? Go with someone who eats, sleeps and breathes weddings. Once upon a time, everyone hired that one studio in town that shot everyone and everything. Because back in those days photography was a seriously intense process and only a few had the skill to do it. But not anymore. Digital photography changed the industry and lotsa peeps became photographers. Then a few years into the digital era photographers started to make a shift from being all things to all people to being “specialists”. We have our newborn only photographers, real-estate only photographers, family only photographers, senior only photographers, engagement/wedding only photographers…you get the idea. Which means that the mind-blowing-quality of work that photographers started producing hit a whole new level. But you might not want to hire a newborn photographer for your wedding…or vice versa. No matter how AMAZING their pictures are. They might possess the magic of being able to make a baby fall to sleep in the “frog” pose…but can they handle rowdy groomsmen? Or when beloved grandma gets lost and drives two hours out of the way and now all the pictures have to be taken in the dark? Pick someone who is in a “Niche” that matches your lifestyle. Definition of Niche: denoting or relating to products, services, or interests that appeal to a small, specialized section of the population. Two or three years ago this wasn’t even really a thing. And now being a “niche photographer” is a concept that has exploded because of the positive effect it has had in the relationships between couples and photographers…and the resulting images. This means that if you are having a Disney Themed wedding, there is an incredible wedding photographer out there that loves all things Disney weddings. If you are an adventurous couple who shops at REI and will be planning a mountain top ceremony that involves a 5 mile hike…there is a photographer that does JUST that. 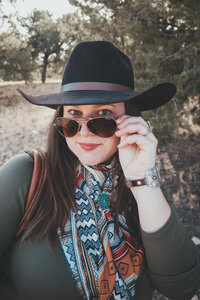 If you dream of a destination wedding to Santa Fe with all the best local vibes, there is a photographer that specializes in knowing Santa Fe like the back of her hand. AND I love her…go creep Arielei Kinzer if you are needing some Santa Fe today. And in case you haven’t noticed, if you are planning a rustic wedding on your family’s ranch…there’s a photographer for JUST that too! Her celebrity crush is Sam Elliot, she thinks new country is mostly crap (with a few exceptions), she’s married to a pearl-snap kinda cowboy and at this very moment she really wants some gourmet Hawaiian Pizza…but the nearest pizza is 113 miles away. Having a photographer that can relate to your lifestyle (someone who would really feel more like a friend) is going to make your photos feel so much more authentic and genuine! And it’s just gonna be way more fun and relaxed! And we photographers realized this. That’s why I started to narrow my “niche” and refer away the Star Wars themed weddings when I am really better at knowing “Do I need 4×4?” is a legit question…but I couldn’t remotely be able to pick out Yoda in a crowd. Ps. An excellent photographer can connect with and capture ANYONE in a meaningful way. They really can. But some of us photographers have just decided life is short and there’s really enough photographers/clients to go around…why not just shoot what really sets our soul on fire? But…Go with someone in your niche…with your style! The beauty of having 47-million photographers out there is you really can narrow it down to the perfect photographer WITH YOUR STYLE…because, guess what, I’m not the only camera totin’ cowboy-wife with a burning passion for photographing cowboy couples and ranch weddings. Thanks to social media at your fingertips, you now have at least a dozen legit #western #ranch #cowboy (or #disney) #weddingphotographers to choose from who are experienced professionals and downright wonderful individuals. Don’t believe me? Checkout the new and awesome Bucksin Bride Wedding Blog…a place for JUST western style wedding inspiration! There are so may different styles of photographers! There’s those who are dark and moody, light and airy, love natural light, use a lot flash, a few that are stuck in 2007, others that hardly edit, some that change their style every week…Ok time to stop Lyndsey. The whole point of this little (okay okay, long) blog isn’t for me to say HIRE ME! I’ll tell your right now I don’t even pretend to have a style, pricing structure or personality that makes me a great fit for EVERYONE, even it if IS a beautiful ranch wedding. I’m here to say YOU choose the photographer who has a vibe that really just gives you all the warm fuzzies! I had a layover in an airport where another photographer and I locked eyes and in no time we were comparing camera bags and lenses. She was from California headed to shoot a couple in New Mexico and I was from NM headed to shoot a couple in CA. We laughed and then spent the next hour talking excitedly about how much we loved our clients and the people we got to meet. She was tie-dye, dreadlocks and vegan headed to photograph a (you guessed it) hippie couple in a hot-springs. And there I was in my leahter cowboy boots, hair-on-hide purse, finishing off a juicy burger on my way to shoot a rural ranch for an engagement shoot where they were planning to drag and brand some calves. It’s 2017 you all. And Southwest Airlines and TSA Pre-Check are amazing. Photographers are MORE than willing to go the extra mile (or 1000 miles) to get to work with you, their dream client, because it’s more like living a dream than “working” when your “job” is working with people that you just “get”. Paying extra for their travel is going to be worth EVERY PENNY with the resulting friendship you build over a mutual love of the best organic toilet paper or…the jokes about Texan style hats vs the Flat-Hatters of the North. The genuine photos that you get from THAT kind authentic connection…those are the ones you will cherish for a lifetime. Remember, this is your WEDDING day. A once-in-a-lifetime investment. Ask to see one (or two, or three) WHOLE wedding galleries. Anyone can take pretty detail shots in the morning by a beautiful window. But you want to make sure they can do just as good at your super dark barn wedding reception lit only by tiny Christmas Lights. Instagram feeds and blog posts can show off a beautiful highlight reel…but you want to see it all before you buy. How much experience has this photographer had…as a Lead Photographer? A lot of photographers gain invaluable experience and build beautiful portfolios as “Second Shooters” working under/along side experienced “Lead Photographers.” Which is wonderful and I recommend everyone do it! But there’s a big difference between being second and being lead on a wedding day. Just make sure you are hiring someone who you know has actually placed/posed couples, wrangled family portraits and handled tough lighting situations on their own. Most experienced seconds CAN do an amazing job…some not so much….yet. Ask if there will be two photographers. For years I shot solo and I killed it but I’ll never go back to shooting alone. Besides the worst-case-scenario-where-the-lead-photographer-falls-and-breaks-an-arm-the-day-of-kinda-emergency…a second photographer adds such an extra dimension to the story of your day. Your lead photographer can only be so many places at once. On the same note, ask if the second provided will be an experienced individual with professional equipment and not just a highschool kid wanting “experience” with their entry level camera. As silly as it sounds, ask if your photographer has backup gear. Many photographers starting out will show up to a wedding without backup gear. That just breaks me out into a sweat imagining it…technical difficulties are real! Make sure you know before hand if your digitals are included or if will you have to purchase them for an additional cost. And find out what their “Print Policies” are. Maybe you are ok with only being allowed to order through the photographer. Maybe you aren’t. Find out if your photographer has at least liability insurance. It says a lot about them professionally and is a requirement at a lot of high-end venues. That way if tipsy cousin Mary trips over a flash stand at the reception and breaks her thumb…it’s all good. Get a contract. No contract? RUN, this person is a clueless amateur like I once was and has a lot to learn. Got one? Good! READ your contract. It’s a mutual understanding of what is expected from both parties. Make sure it lays out the important details like: How long will it take for the photos to be delivered? What happens in case of a photographer emergency? Payment arrangements, cancellations, digital policies, etc. This is NOT me saying you should never hire someone with limited “Lead” experience or that a solo photographer can’t get the job done. This is just some “food for thought” things for you! But don’t compromise on the backup-gear. I beg you. The answers you will get to these questions will mean dramatic differences in price. It’s entirely up to you to decide what is important to you and how much you are willing to invest. You can spend anywhere from $500 to $10,000. The rule of thumb though is that you’ll typically spend 10-15% of your wedding budget on your photographer. This doesn’t have to be a law…I’ve had clients spend 75% of their (smaller) budgets simply because it was THAT important to them to have me. Best. Compliment. Ever. LAST BUT NOT LEAST, DO AN ENGAGEMENT SESSION! I can’t stress this enough. You really really should work with your photographer BEFORE the whirlwind of a wedding day. Beyond the fact that you get an idea of who your photographer is in action…it gives us photographers a chance to learn your quirks, what makes you laugh, what poses are natural and what doesn’t work! Also…it’s when we win over the not-happy-about-pictures-grooms. All this means that working with your photographer isn’t a new and nerve-wracking experience on your actual wedding day! And this is why all engagement sessions are complimentary when you book a wedding package with me. And that way if things just aren’t clicking you know BEFORE the wedding day and have time to re-evaluate you options BEFORE the wedding day. Did I mention BEFORE the wedding? You can not do a re-run on your wedding and your pictures are an investment with a return on a lifetime. Choose the photographer that is RIGHT for YOU. If you came to this page via the investment info you can click HERE to go back to where you left off.